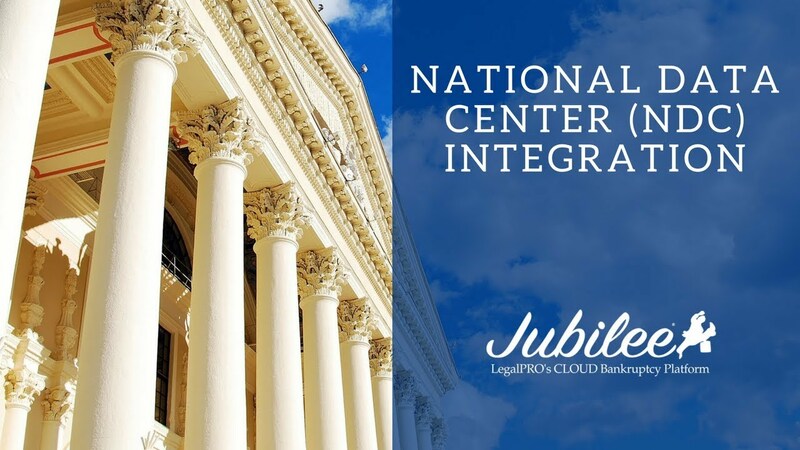 Support — Jubilee by LegalPRO Systems, Inc.
Have a specific question? Head over to our forums for answers and further support documentation. Ready for the latest and greatest in bankruptcy software? 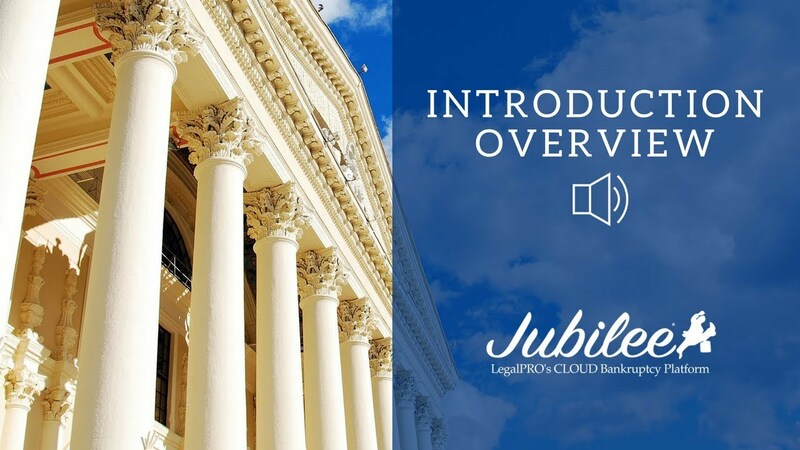 Register for our free webinar as we explore how simple and easy it is to use our cutting edge cloud-based platform, Jubilee. Learn about the various sections and buttons in Jubilee. Learn how to complete different tasks in Jubilee. Learn about the features that make us stand apart from our competitors. Learn how to fix issues users may see before filing a case in Jubilee. Why is it named Jubilee? In Leviticus, the year of the jubilee was when various debts were to be forgiven – “…and ye shall return every man unto his possession…” It is in this context then that we have named our new, cutting edge, cloud based bankruptcy platform Jubilee. We feel like this name will convey more than any other, the mission we all embark upon – to help your clients free themselves from debt and make a new start in their financial lives. Your prices seem low compared to others. Am I getting a quality product? Yes you are! LegalPRO Systems is a not too small, but not too big, company of technical experts. We have low overhead and every dollar earned stays in the company because we have no outside investors to pay. We are not up for sale, therefore, we do not need to impress potential buyers with excess profits. We put the needs of our employees and our clients first and in doing so, the business will take care of itself. What we do appreciate very much from our clients, however, are the kind referrals – which help us grow stronger. You are getting over 30 years of experience, a full time customer support and professional development team, and the confidence to know that the software you are investing your time, money, and effort into will be around for years to come. Bankruptcy is a complex legal field and creating software that gathers the necessary information, puts it in the correct forms, performs the proper calculations, and files the petition with 94 different courts is no simple task. Means test numbers, exemptions, and various forms change every single year. That’s why it is essential that the company you buy software from will be around for years to come. LegalPRO has gone through exactly one change in ownership over three decades. Can you convert all the case data I have in my current software to yours? Yes and no. Anything your software will allow you to export to a common file format (text, CSV, XML, etc.) we can import into Jubilee. Data that is solely contained in the proprietary file formats of your current provider, for which they have not exposed an export function, cannot be converted. While the technical means to extract the data exists, it would violate licensing agreements for us to attempt to do so. We suggest requesting that your current software company provide export functions for the data you wish to extract. If they refuse to do so, then you have another very good reason to leave them as soon as possible. We will never hold your data hostage in Jubilee and will gladly export anything we can at your request if you choose to leave us, or more likely, if you need to use the data in another application. As a practical matter, however, transferring any single bankruptcy case that is currently in progress to another software platform could be very tricky – especially if the forms have changed since the case was initiated. There is no perfect short-term solution, but in the long run we think you will be happy with your decision to move to Jubilee. Can I host my office data on my own servers? Pay for your own separate database with Microsoft™ Azure so that your data is hosted completely independently from all other data. Have us install the software on your own in-house servers. Option 1 is more practical than option 2, but both will involve extra expense and effort. If you believe you have good reason to implement this, then give us a call and we can discuss the pros and cons of doing so. What happens to my data if I stop paying for the Jubilee subscription? Your Jubilee data will be maintained for up to one year of inactivity, after which you will be notified of its pending removal from our servers. At this point, you will have two options: the first is to export all your data to your local computer before it’s deleted and the second is to pay for at least one month of service to get another year of storage. It is as safe as it is anywhere. Any network with an internet connection can be hacked and even before the internet existed to take over our lives, fire, theft, and other disasters could destroy just about anything. Now that being said, Microsoft™ Azure is a pretty tough platform and we’ve gone out of our way to make Jubilee as secure as possible; you can read about the details here. Another company is offering me this feature or module. Do you offer that? Call us and ask. Maybe we do but we failed to make it easy for you to find, or maybe we can add it if we don’t. Much of our software is the result of client suggestions and requests and it is also hard to document every feature available on our website. We also have agreements with other companies to provide services they offer on our platform. I’m filing a case for a client pro-bono, can I use your software at no cost? Yes, just call and ask. What makes LegalPRO different than its competitors? Let’s start with five reasons: longevity, consistency, redundancy, ownership, and service. Longevity is 30 years in business and no end in sight. It’s important to know that the software you choose to run your office is time tested and will be here for years to come. Consistency is having long-term staff members who love their job and know their business. We have almost zero turnover here because we aim to be a great place to work and that atmosphere transfers to our client interactions. Redundancy in support and development is making sure that multiple people are trained and knowledgeable to step in and do the required tasks. It’s important to know that nothing here depends on one single person and that we can be there for you through good and bad times alike. Ownership at LegalPRO is hands-on; every owner works full time for the company and is fully invested in making sure we perform to the highest standards – we have no outside investors looking simply to make a rate of return. 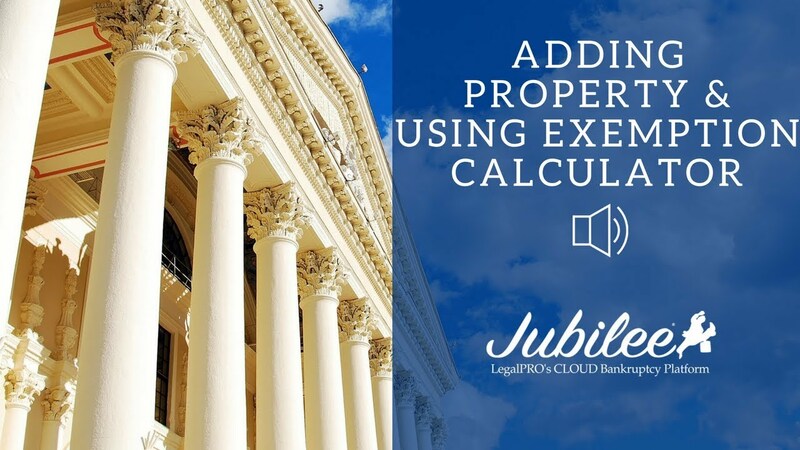 Finally, our service is top notch – whether it’s a simple question on how to perform a seldom-used function or helping clients file their first case from start to finish, we’re always here to help. Why is LegalPRO's development staff better than others? LegalPRO’s entire development team is in-house. They work closely with our support team and experienced bankruptcy professionals to create software that works right. When issues occur, we can quickly diagnose, debug, and fix them – often providing same day updates. Other companies must communicate with distributed programmers – many who live literally half way around the world. There is no area of law as complex to develop for as bankruptcy. Our developers have a working understanding of bankruptcy that would impress any practicing attorney. It’s not uncommon, in fact, to talk with one of them directly when explaining an issue or requesting a special feature. They work for our clients and take personal pride in the software. With Version 5, LegalPRO made a great program (I-Got-Notices) even better. I now rate I-Got-Notices as indispensable. Customer service is still the best in the industry. Two things. First, I find BankruptcyPRO easy to use and complete in what it does. Second, customer service is terrific. I’ve always gotten very quick attention to the few issues I have had, and the people I’ve talked to have been knowledgeable and helpful. Also, if new forms needed to be developed or implemented for our District, I’ve found that LegalPRO does that within a period of time that I find more than reasonable.